I’ve been trying to avoid this blog post for a while…..
Not because I don’t want to share my experience, but mainly because there are many different views on this topic and I can only share mine. 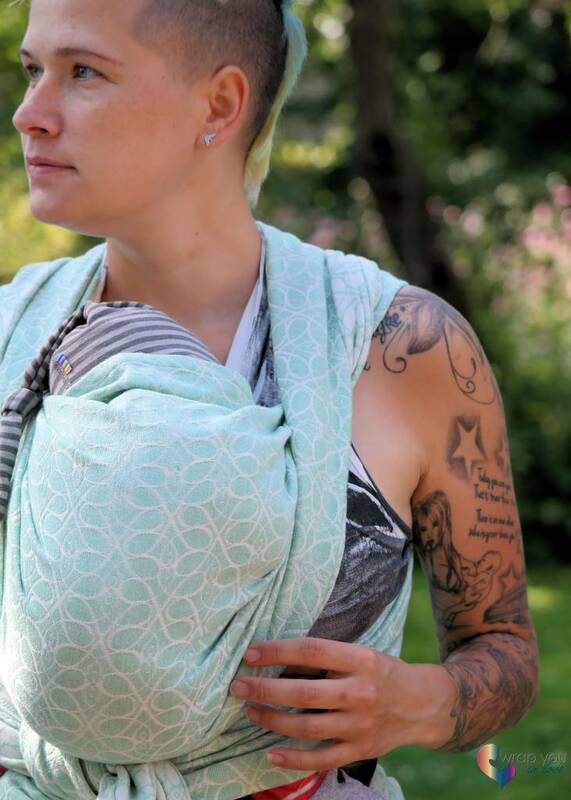 Babywearing schools are teaching different standards, some countries have different opinions and offcourse everyone has his own personal experience with whatever worked best for their baby. First of all, I’m not here to tell anyone that whatever they are doing (or have done) is wrong. Please don’t take my advice as saying ‘this is right’ and making everything else ‘less optimal’ or ‘wrong’. There are many ways to wear your baby and yes some points are very important (keeping the airway free, ‘M-position’) there’s no such thing as one perfect carry (or carrier). 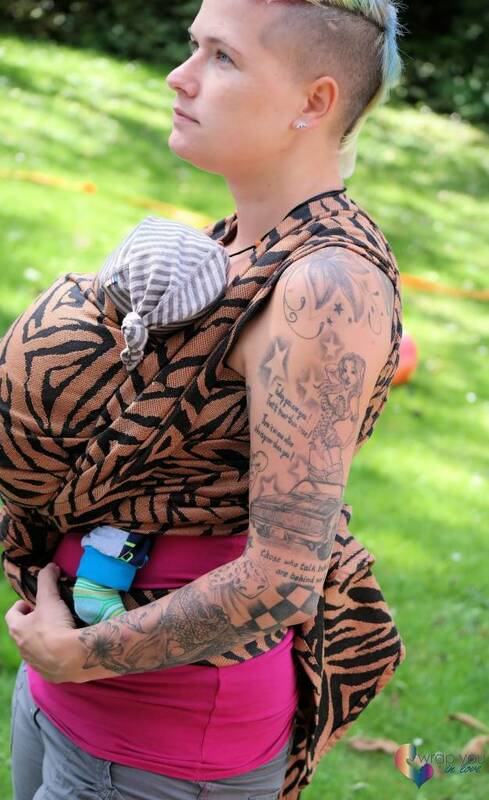 This is where a lot of people start their babywearing journey…. With a stretchy. 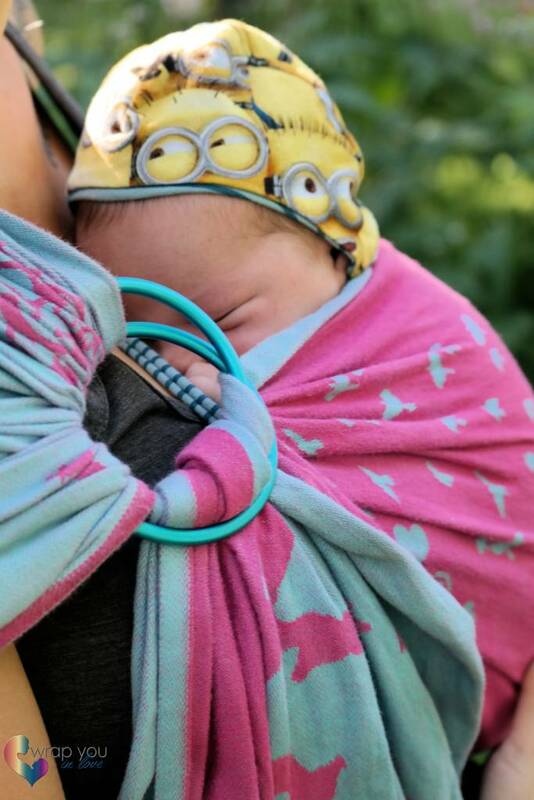 It’s affordable, you can pre-tie it and eventhough it’s a lot of fabric it doesn’t feel as overwhelming as a woven wrap does feel to some parents. I only started to try stretchy or hybrid wraps when my youngest girl was not a newborn anymore and I have been eager to try them with a newborn. I love the close feeling they give. It feels like you tug your baby in your t-shirt, skin-to-skin. And they are so soft! Personally I prefer the ‘normal’ spread out FWCC over the pretied PWCC, but I know most parents love to option to pre-tie the wrap and yes off course that’s easy too. It just takes a bit practise to find out how tight you have to pre-tie before it’s perfect. If you have a JPMBB you need to take a look at their tutorial videos, I love the front double hammock, so great when your tiny baby keep the legs very close together still! 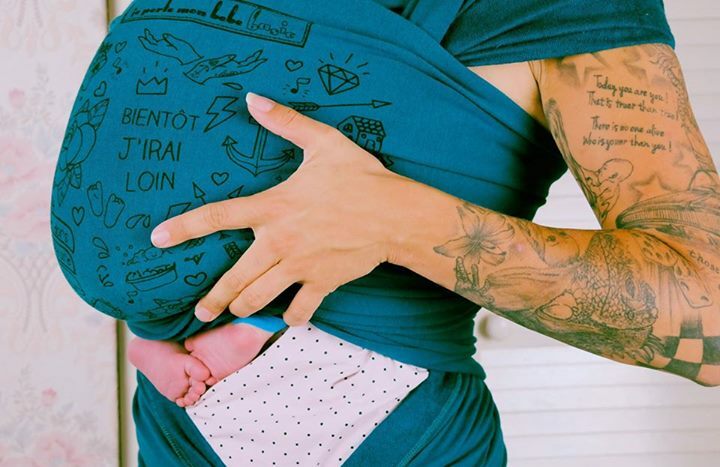 Most stretchy wraps are not suitable for backcarries and get uncomfortable with heavier children as they aren’t very supportive. Up to around 9kg’s most brands will do fine and if you wrap carefully (tight enough and very neat) you can wear your child way longer, but most stretchy wraps are designed to be a ‘starter-wrap’. A gateway to the world of woven wraps (or carriers). JPMBB is a (huge) exception, as they have a line of wraps that can be used for backcarries to and will be comfortable for a much longer period. If you want something that last a long time, pick a woven wrap. Yes I know this (long) piece of fabric can look overwhelming and yes, I once thought ”I’m never going to learn how to wrap” & ”that looks so complicated”. 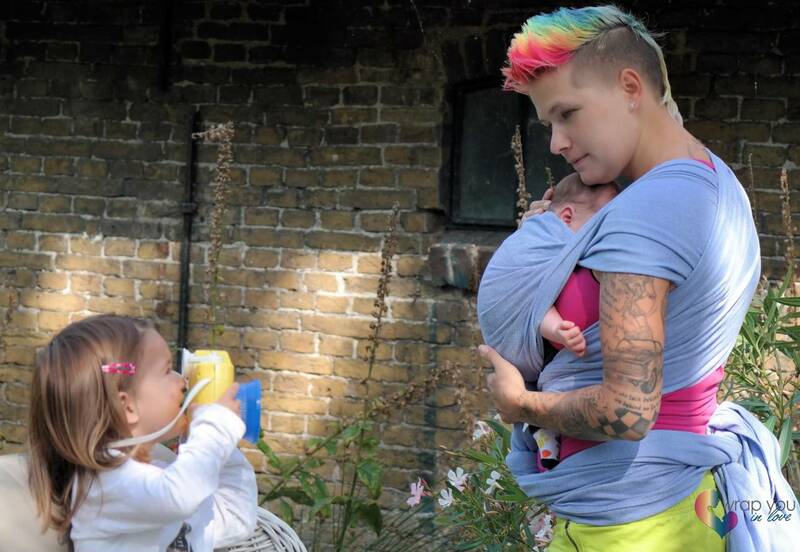 It takes some practise and if you don’t feel comfortable by learning it from a booklet (or youtube), you can contact a babywearing consultant and get some personal help. If it comes to carries there’s a lot of choice and the suggestions on ‘how to wear your newborn’ are different in other countries and I think preferences might be very personal. I mainly used the FWCC with Alice (my youngest girl). I just couldn’t nail the Kangaroo carry and I was releaved when she got bigger and her head/torso control was better so I dared to try hipcarries and eventually backcarries. With Emile I use the FWCC with a twist a lot. It’s easy, the twist makes it even more comfortable for me and I feel like it’s easier to manage (compared to the regular FWCC). No more pushing or pulling around those little legs to get all the fabric through. I’ve been educated that it’s better to use a single-layer carry with a tiny baby. This is why I don’t spread out my FWCC and why I love the kangaroo. I don’t push the legs in the ‘right’ position (sometimes I see babywearing parents pushing the feet so the knees get a bit higher), I try to keep my baby in a position that’s comfortable (and natural) for him. I don’t use a neckroll most of the times because I don’t feel like it’s necessary if you wrap neatly, pull the wrap up high enough to ensure that the head is supported very well. 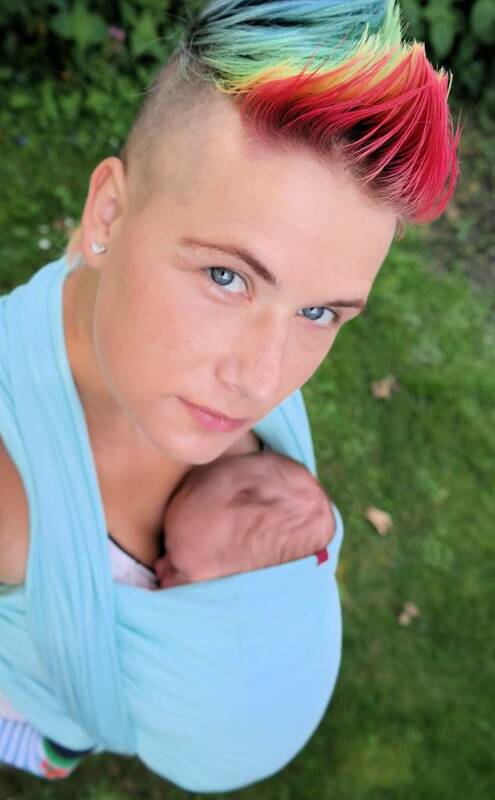 I’ve seen parents using (fat) neckrolls to make up for a bad wrapjob. Please don’t! It can put extra pressure on the neck. 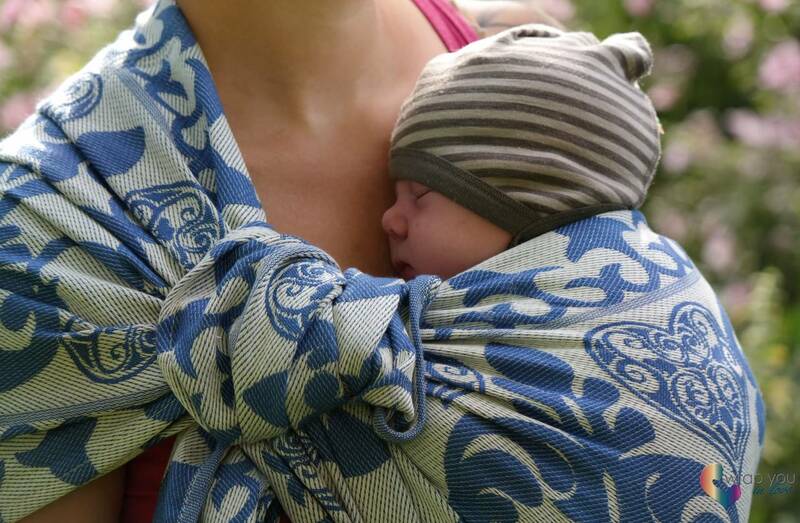 There’s nothing wrong with a small neckroll to add some comfort if your baby shows discomfort with the toprail of a wrap. Don’t roll a complete muslin cloth in there, a small muslin washcloth is enough. If you only have a big muslin cloth, just roll it partly and leave the rest hanging out. Fold the toprail of the wrap over the roll (instead of rolling the toprail). If you want to use the complete muslin, don’t roll it in the toprail but attach it to the outside of the wrap by tucking in the ends. Just make sure your neckroll isn’t adding any extra pressure on your baby’s neck. I know there have been (and still are) babywearing brands that suggest to wrap your baby with the feet in the wrap when they are little. It’s not commonly teached and I feel like it’s hard to achieve a comfortable carry if you do wrap with the feet in. You can wrap your baby with the feet out from the very first day. The first weeks Emile loved to keep his feet close together, if you held him in your arms he would curl up and put his feet underneath his bum. It made wrapping a bit more complicated but we did find a way to make sure it was comfortable for both of us without wrapping with the feet inside the wrap. A front double hammock (in a JPMBB) was great, ringslings worked very well for us and the kangaroo carry too. I get asked about backcarries a lot. When? and which carry? It’s hard to keep the head supported during wrapping, the movement of bringing your baby to your back will take practise and is way easier when your baby has good head/torso control, because you don’t have to worry as much about a dangling little head. Wrapping high enough and still being able to reach up to the upperlegs to make the cross over/under those tiny legs is also very hard if your baby is only 55cm big. And one of the most important things about wearing your newborn is to keep them in sight. It’s much harder to monitor your newborn closely when he/she’s on your back. I would love to offer a ”which carry at what age” standard list, but it’s so personal and there’s no standard for this… You might come accross babywearing consultants who give the advice to wait until your baby can stand up by itself before you try the DH, other will say it’s okay to do the DH when your baby can sit and I’ve even seen some countries where it’s suggested as a great carry for tiny babies. It’s a fact that the straightening of the spine happens in different stages and with your baby growing bigger their positioning changes, so you need to pick a carry (or carrier) suitable for their stage. I love this diagram of the development of a baby & it’s a great article to read. This is a great choice for a newborn. Easy to use, quick to put your baby in (or get him/her out). It’s not symmetrical so can get uncomfortable for the wearer if you wear it on the same shoulder over a long period of time, but because of the low(er) weight (compared to a toddler 😉 ) I found it to be comfortable even for hours of wearing. I started with a ringsling (and a hop tye) over 4 years ago when my first baby was born and with Emile I have been using ringslings a lot too. You can try the ringsling carry with a flip on the back or without the flip. Preferences are very personal and also depend on the shoulder style sometimes. 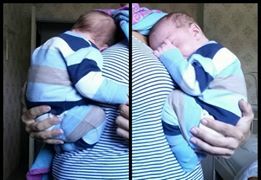 With a newborn you wear your baby more centered on the front and as your baby gets heavier (and gets more head/torso control) you can move the baby towards your hip. 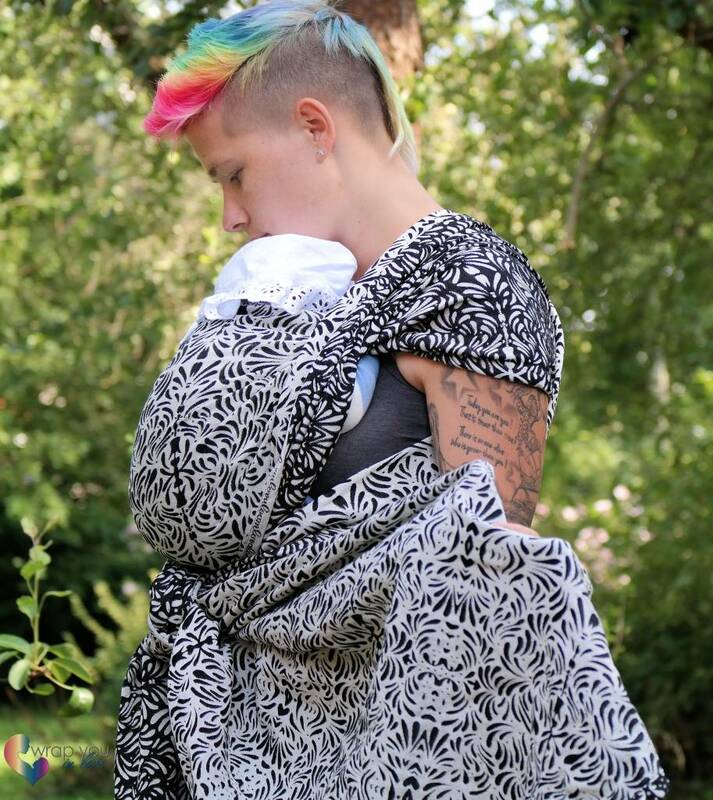 It’s great if you like/need to nurse when babywearing. Easy to lower and reposition. There are some great mei tai or half buckle options out their if you don’t feel like using a wrap or ringsling. The most important thing is that they need to fit for your baby. It’s great if they are adjustable in width and height so they will fit over a longer period of time. You don’t want the body panel to be to wide and overspread your baby’s hips/legs when wearing. When it comes to carriers it’s nice to have the option to try different brands so I would recommend going to a sling meet or a babywearing consultant. If there’s nothing like that close to your home you could also consider renting different carriers to try them before you choose one to buy. No, I don’t think a full buckle can be as versatile as a wrap, but I do think there are some good options out there that offer a good positioning, long usability and great quality. If rings don’t scare you off you could look at the Emeibaby. It’s a carrier that is almost as adjustable as a wrap. If it comes to other brands I would again suggest to try different carriers before buying. What works well for your best friend, might not be as comfortable for you. Depending on your body shape and the proportions of your baby a different carrier might be your favourite. You won’t know if you didn’t got the chance to compare different options. There are not a lot of carriers out there that will be suitable for a newborn baby. It’s easier to find something that fits if your baby is a little bit older (around 3/4 months). 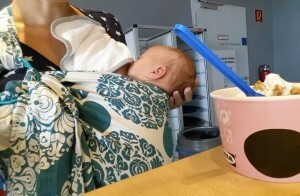 Breastfeeding and babywearing are two different skills and I would suggest to master them separately before combining them. It seems convenient to nurse when you’re babywearing, but it’s not very easy to do if you’re just getting started. It’s very important to ALWAYS keep an eye on your baby when you’re nursing and reposition your baby afterwards to be back in an upright position. Make sure the airway remains free at all times. Don’t forget it’s pretty much impossible to do the ‘shirt up / top down’ thing when your baby is in a wrap. (if you’re wearing different layers and normally pull your shirt up to cover your breast and pull your top that’s underneath down for nursing). I don’t have just one favourite ringsling. My Kokadi Erna still has my heart, but I also use my JPMBB stretchy ringsling a lot after getting some tips on how to use it. My Joy an Joe baby ringsling is very cushy, but also a bit wider compared to other brands.